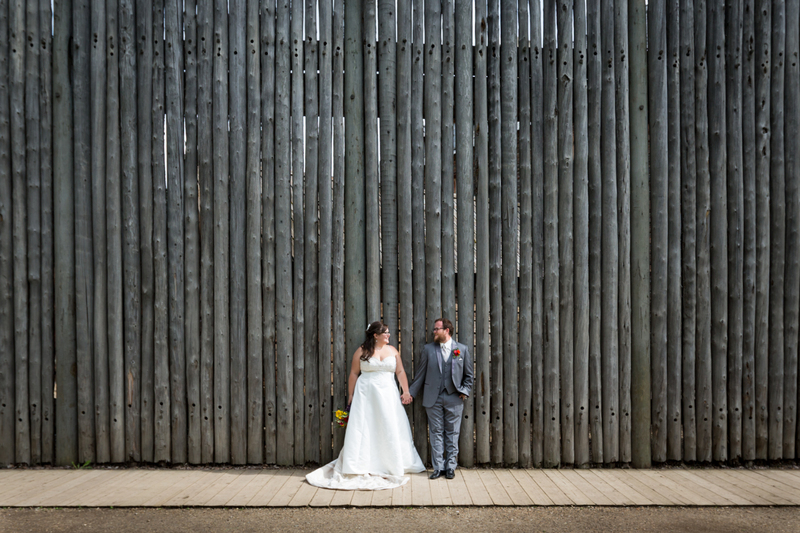 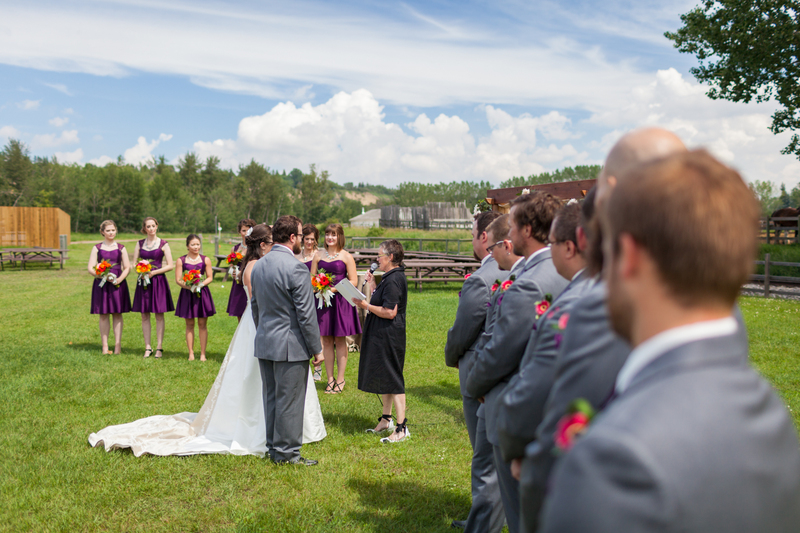 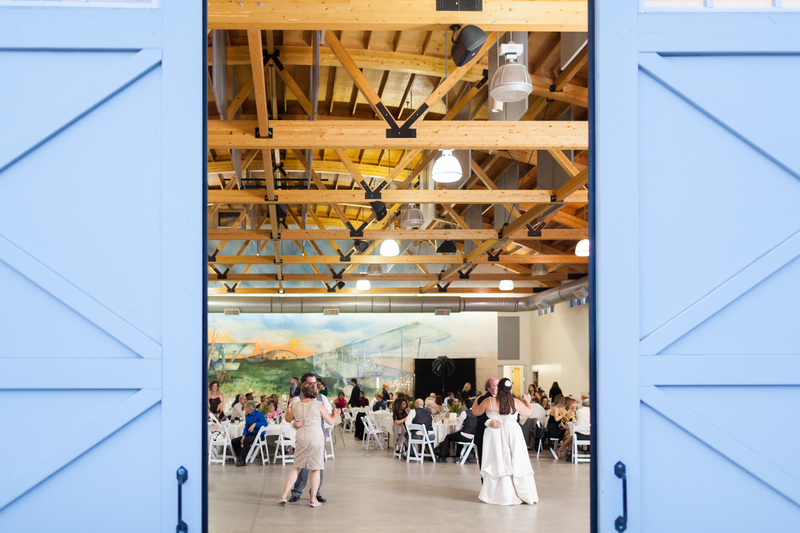 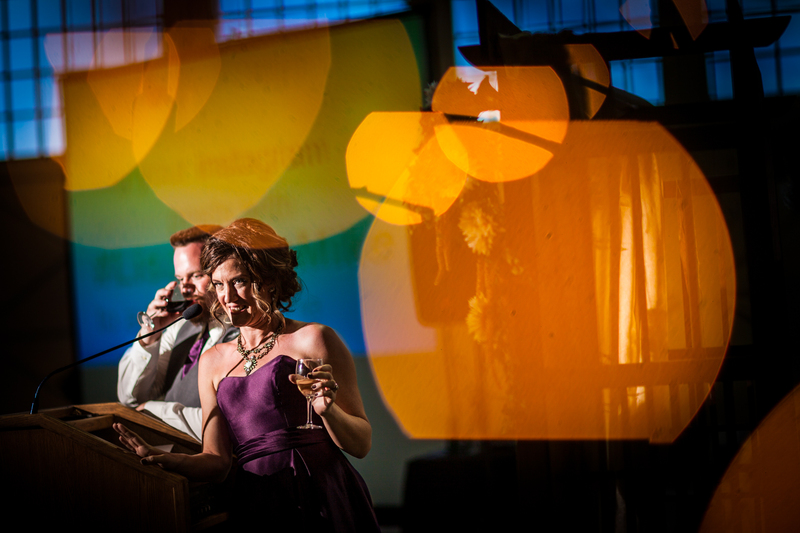 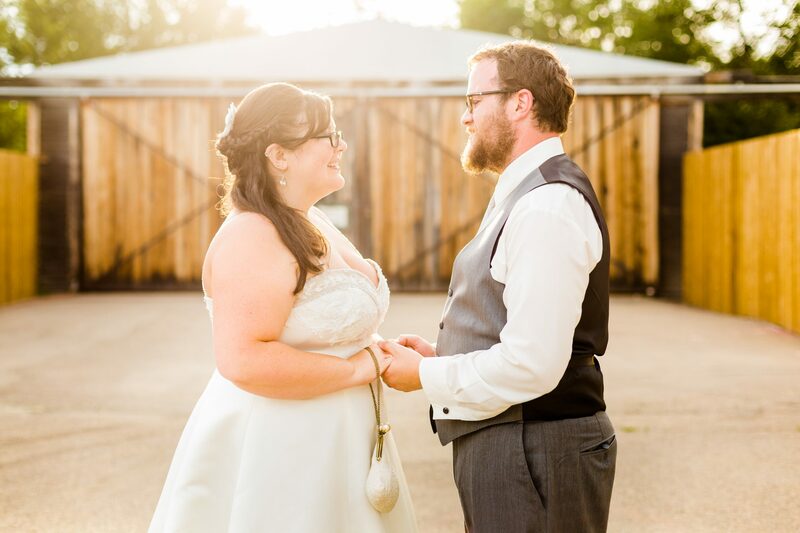 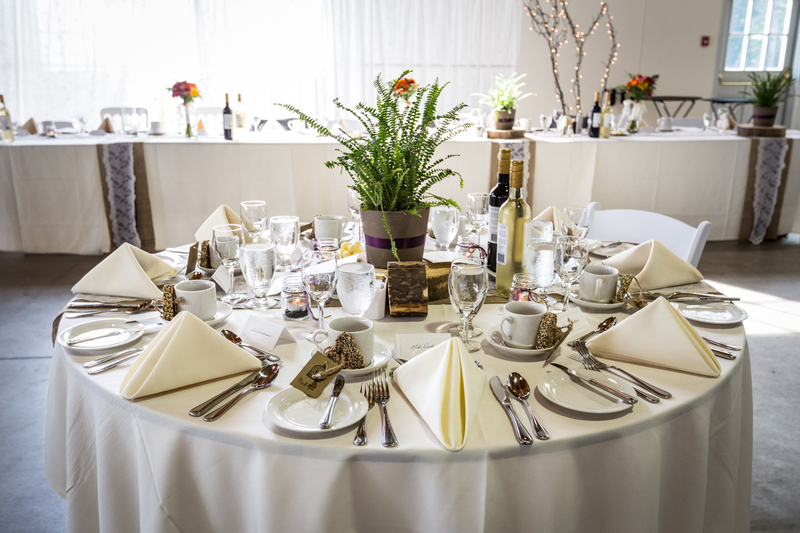 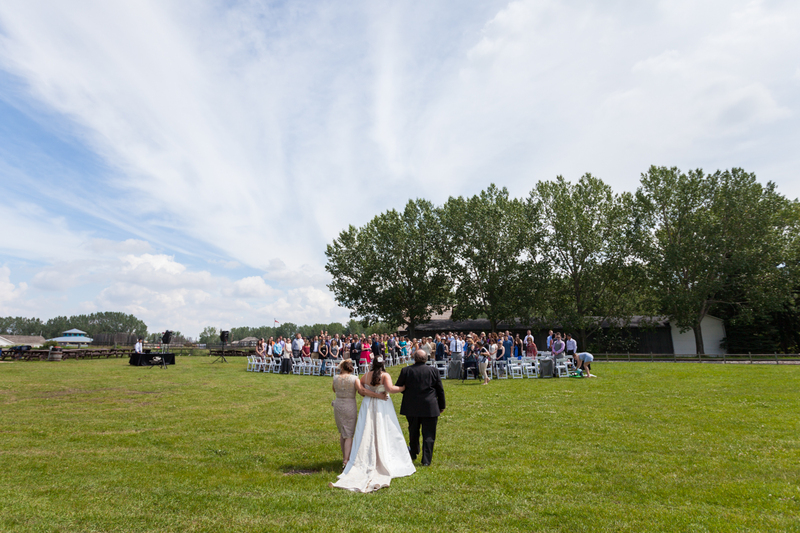 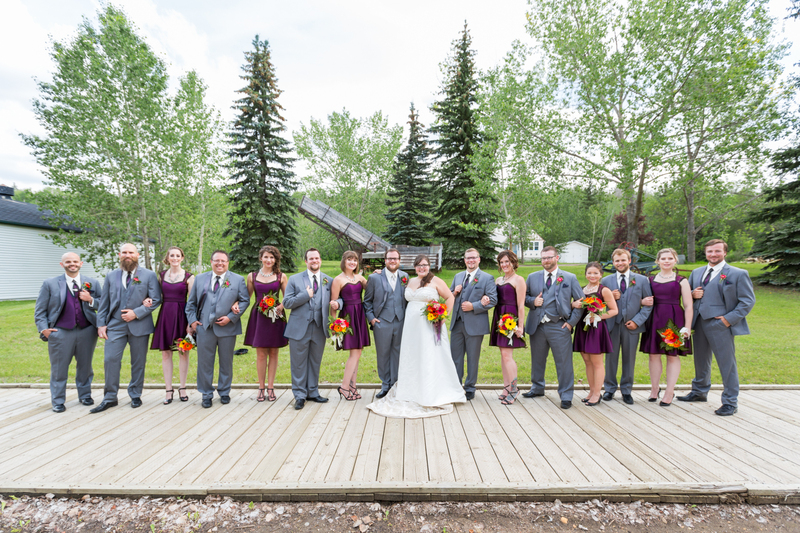 Lisa and Mike’s beautiful outdoor Fort Edmonton Park wedding ceremony and reception were held at the Blanchford Hangar. 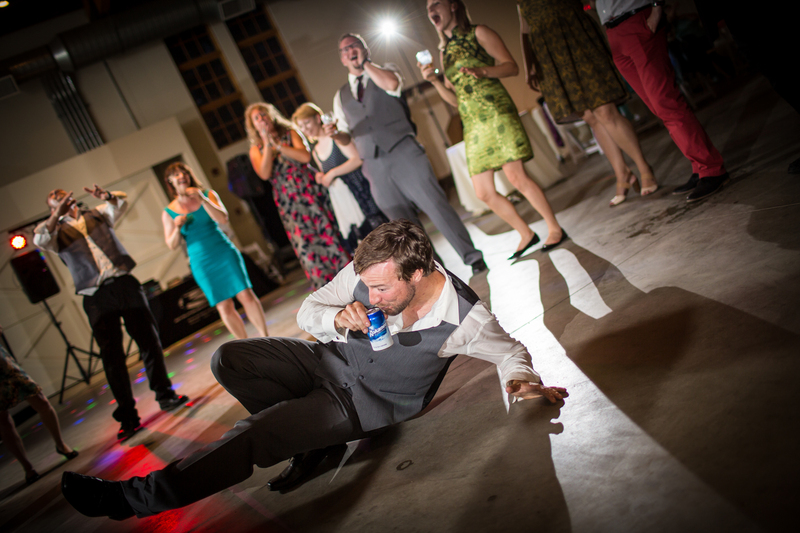 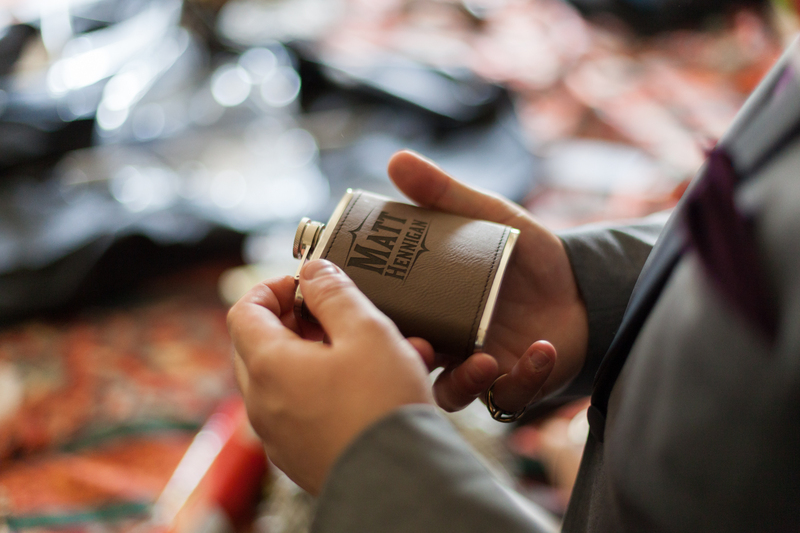 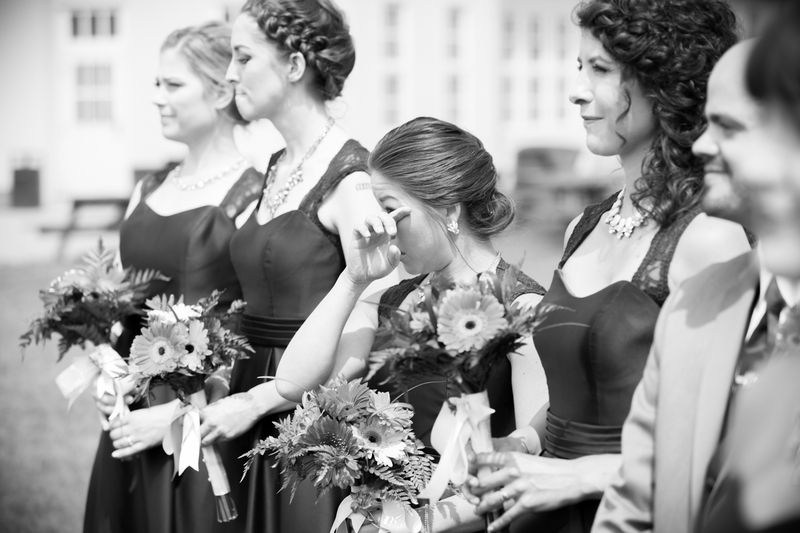 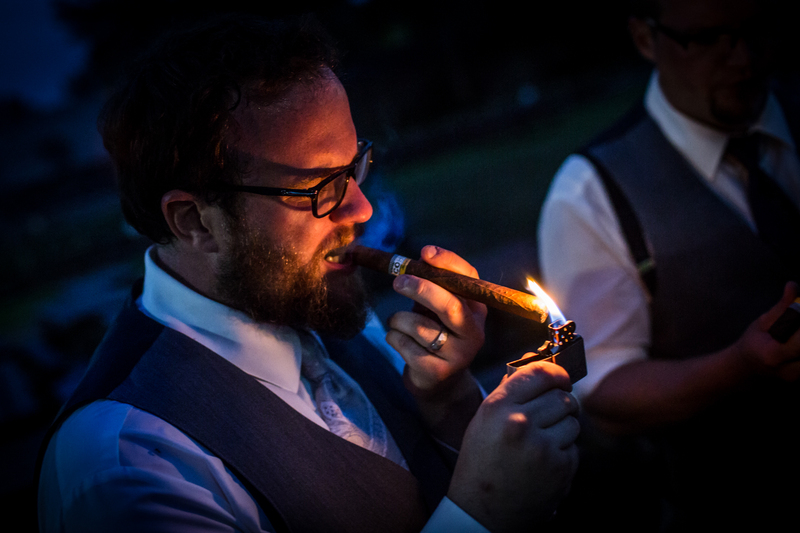 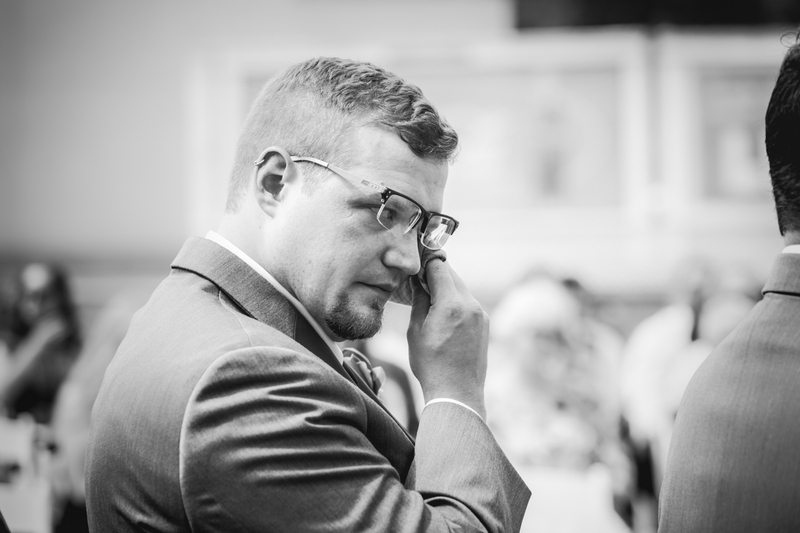 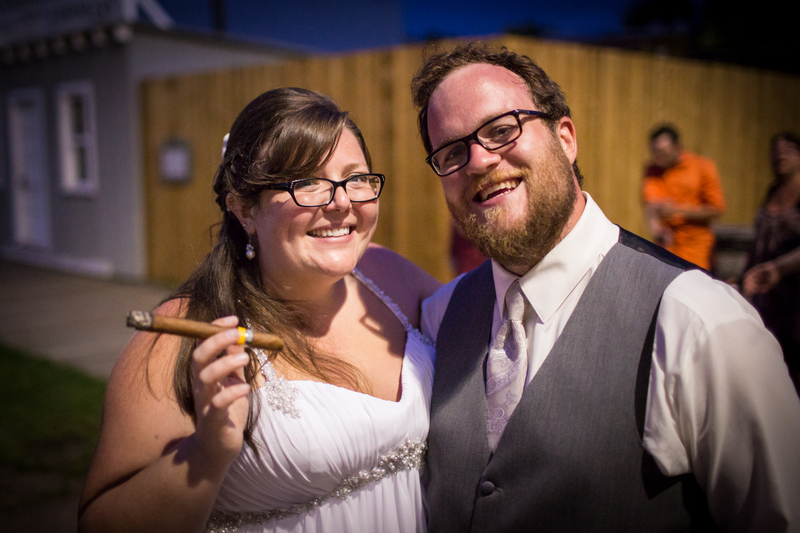 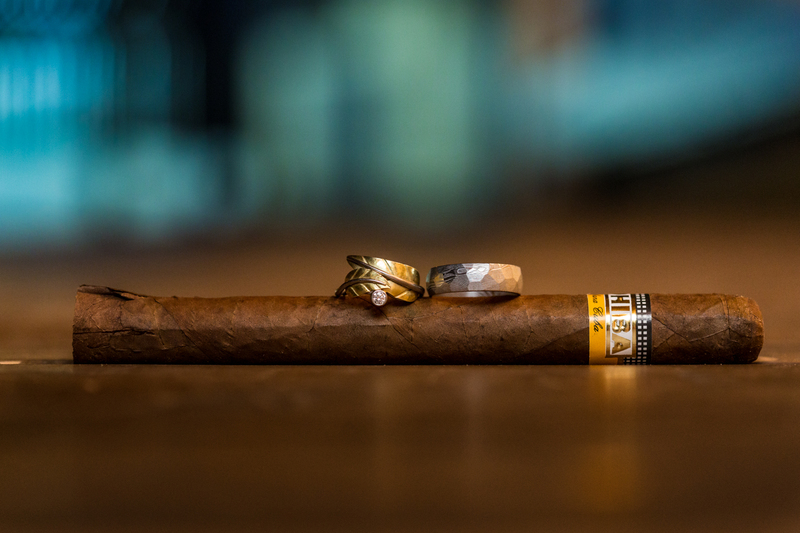 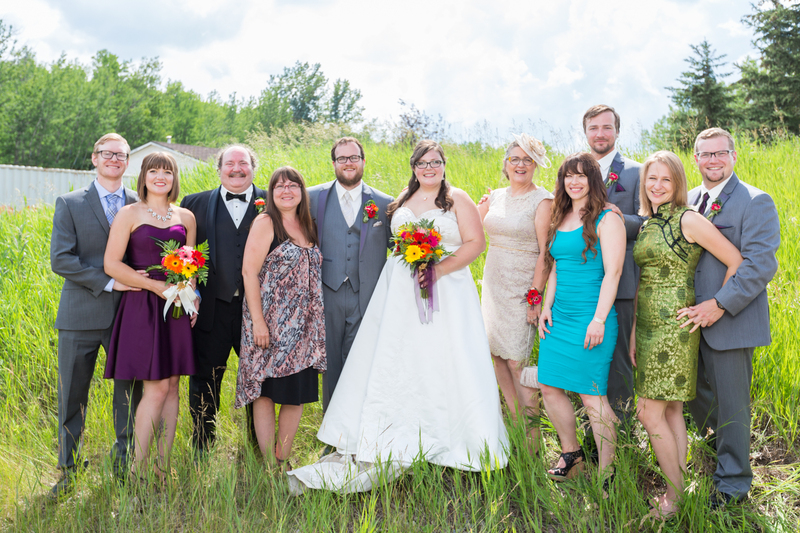 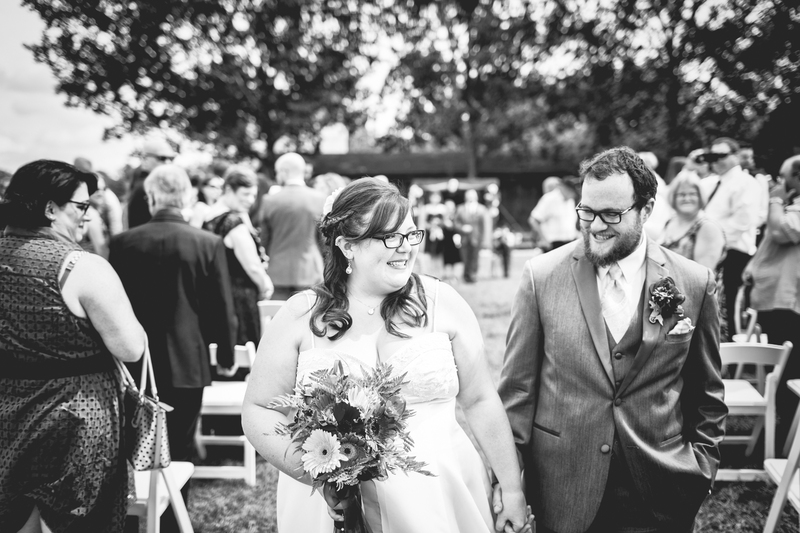 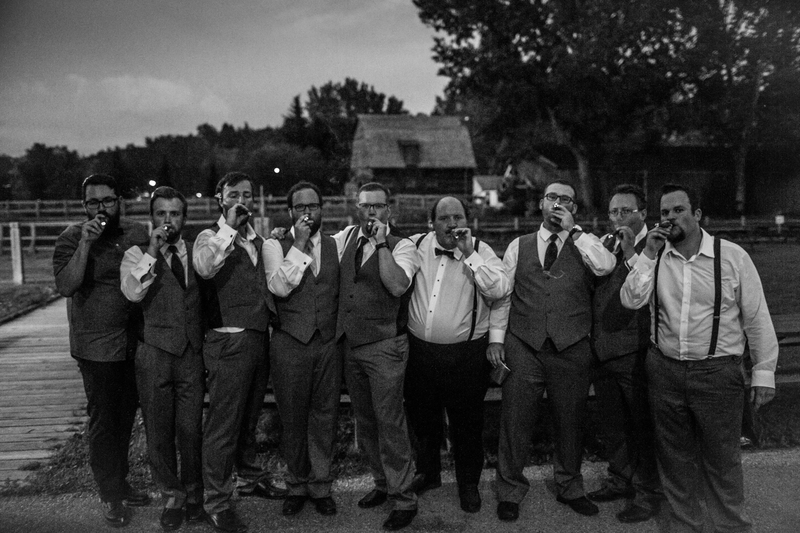 This was one of those weddings that redefined the meaning of two families coming together. 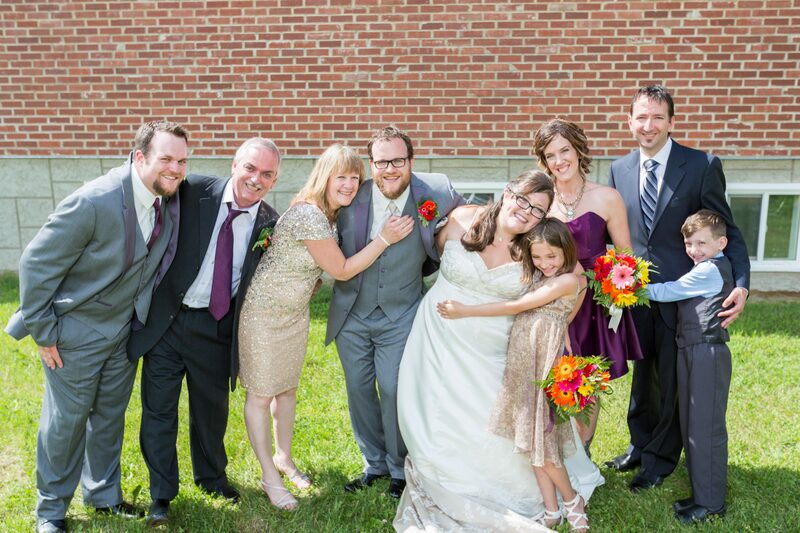 Seriously, these families are amazing! 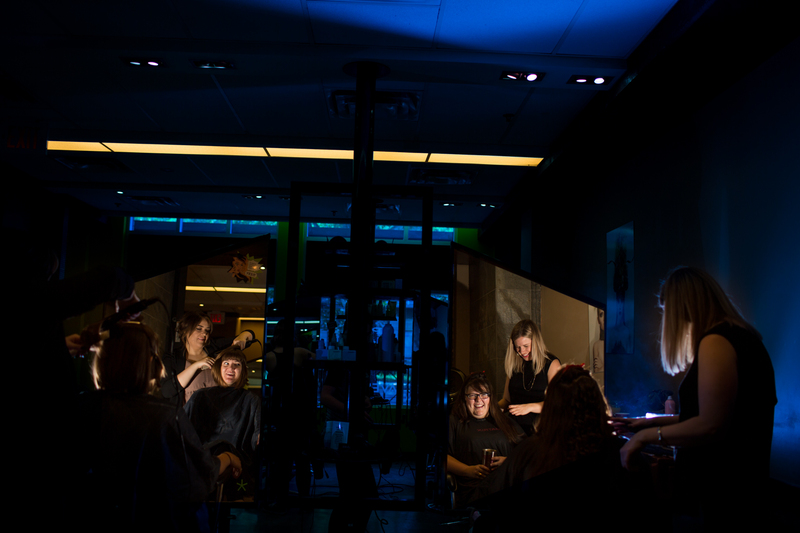 Lisa and her ladies spent the morning at the Dandy Salon & Spa. 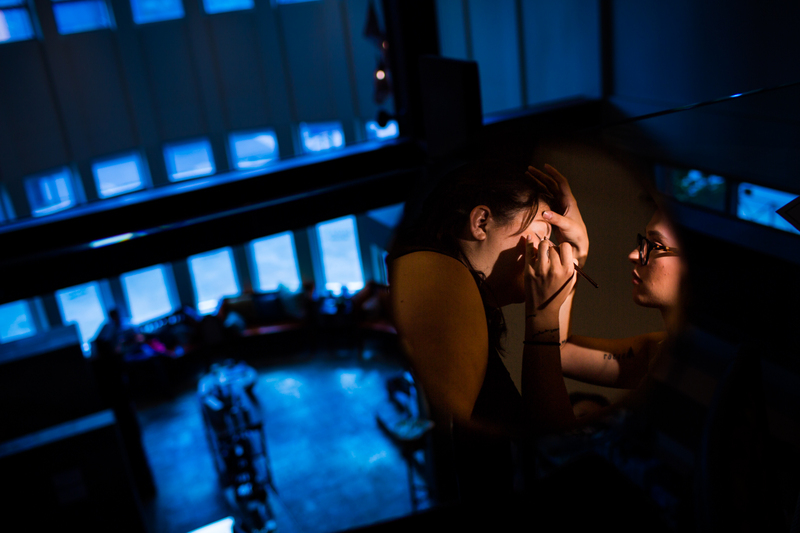 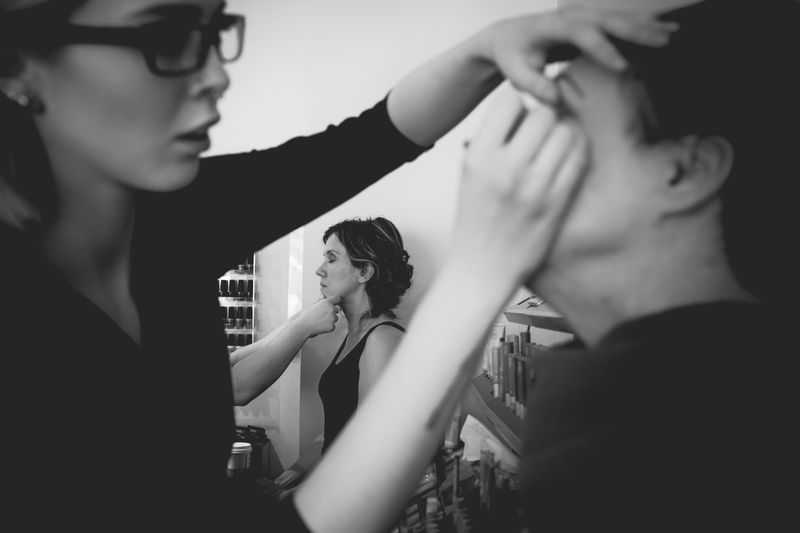 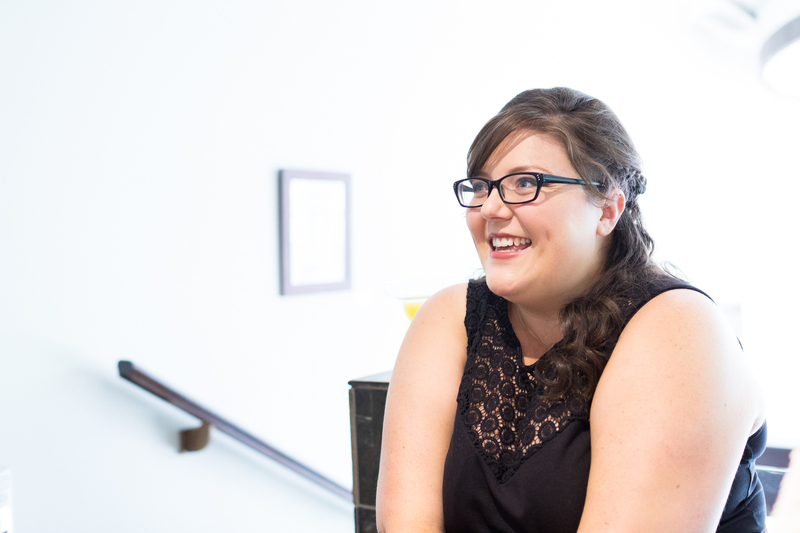 They were pampered like royalty and treated to mimosas while having their hair and makeup done up for the wedding. 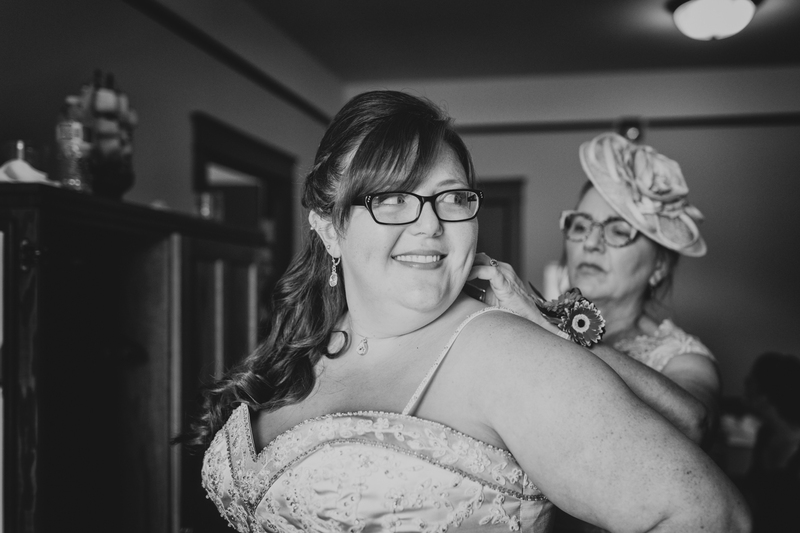 The trendy two-storey salon provided ample room for the bride and her six bridesmaids to relax and get ready for the wedding. 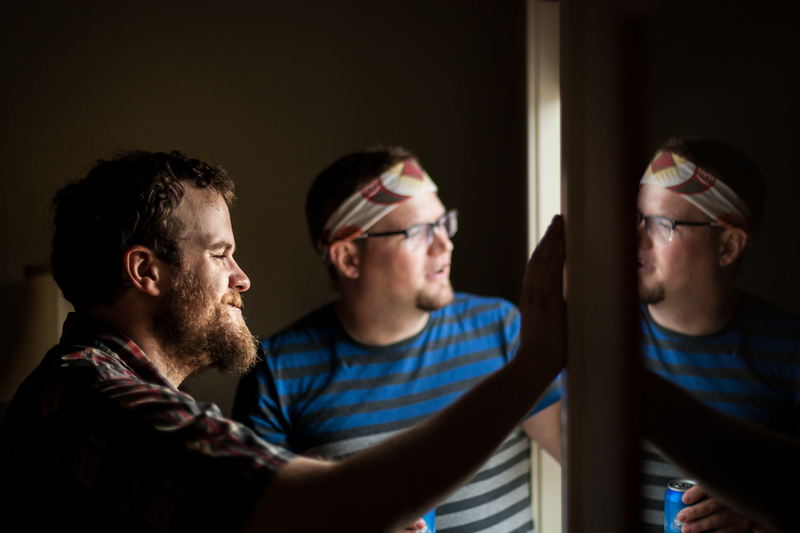 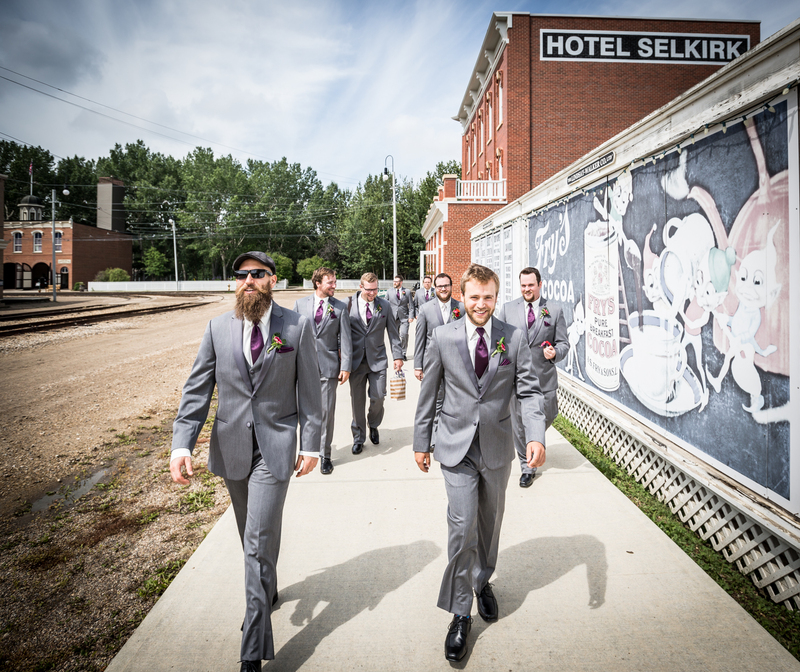 Mike and his groomsmen met up earlier in the morning for some last minute set up before heading to the Hotel Selkirk to get ready. 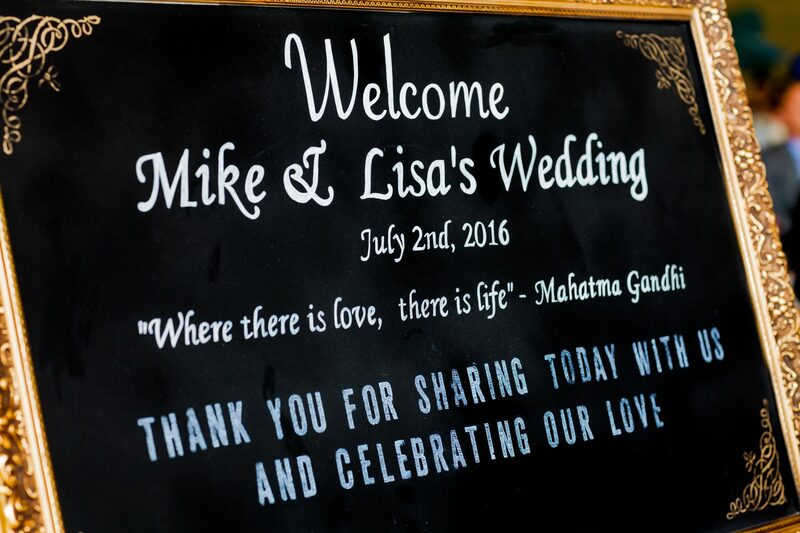 Lisa and Mike are definitely not the traditional type. 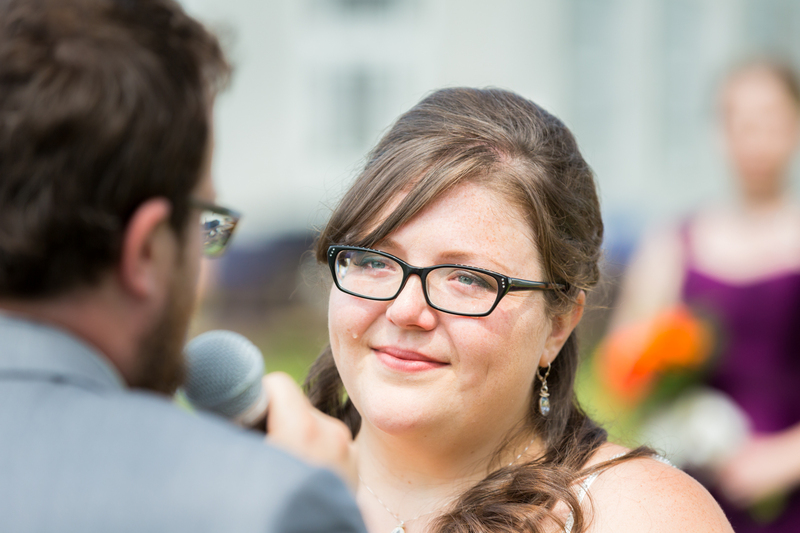 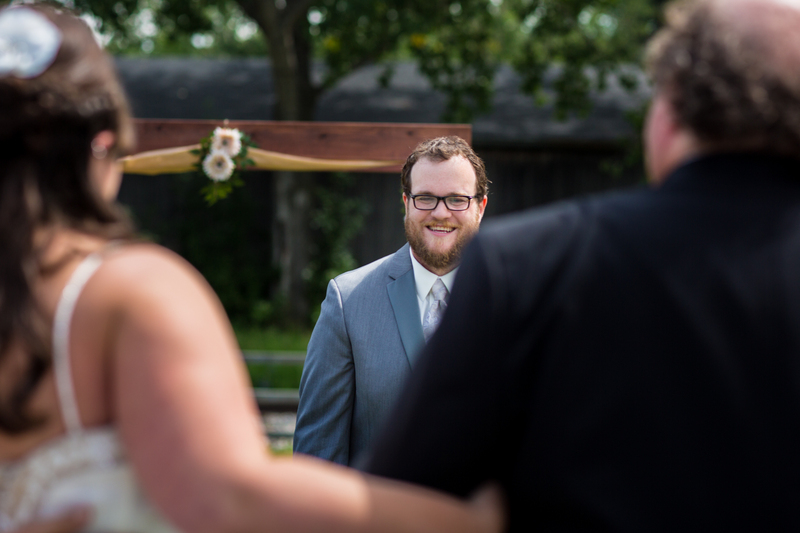 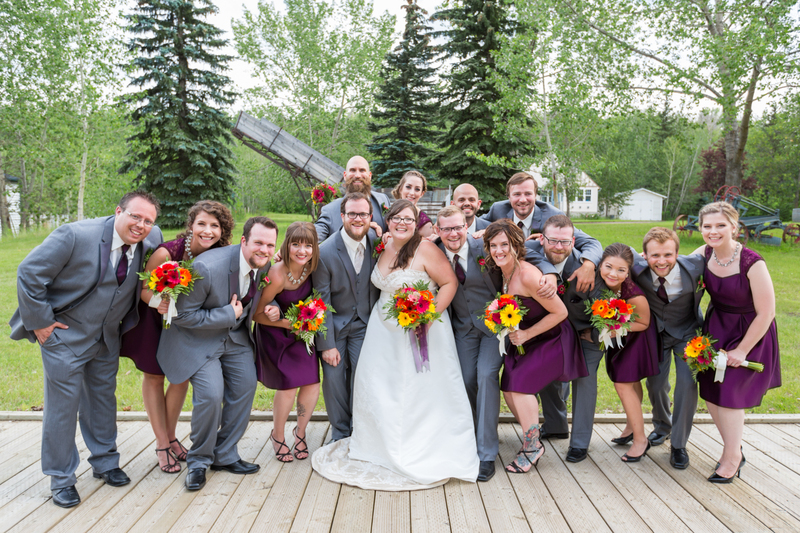 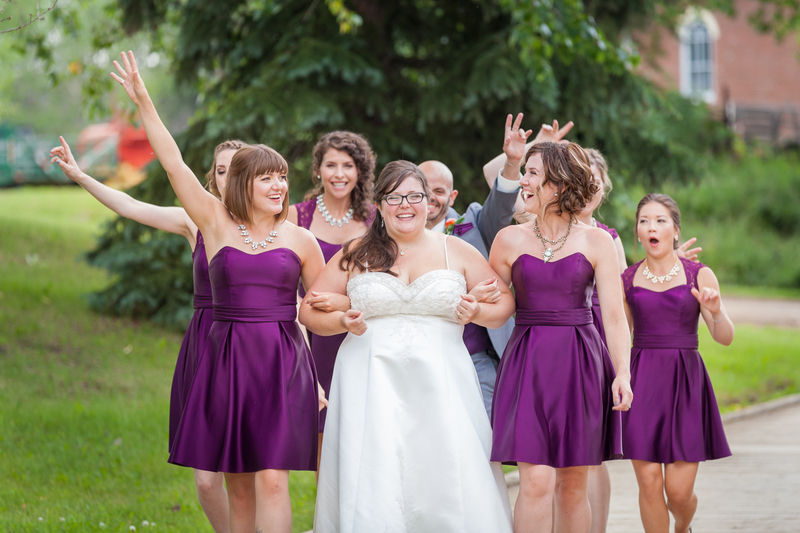 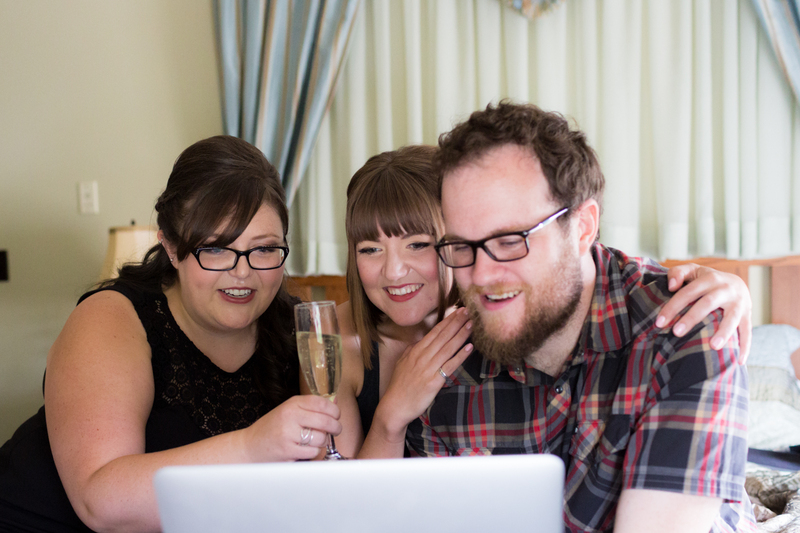 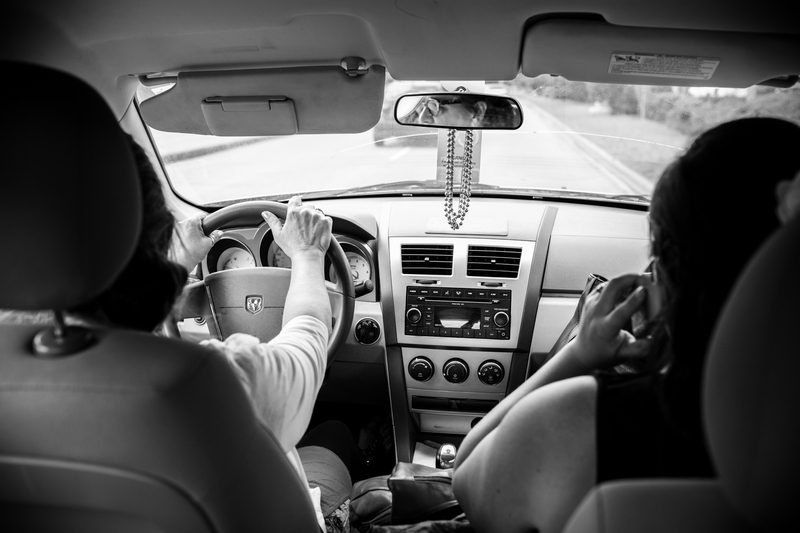 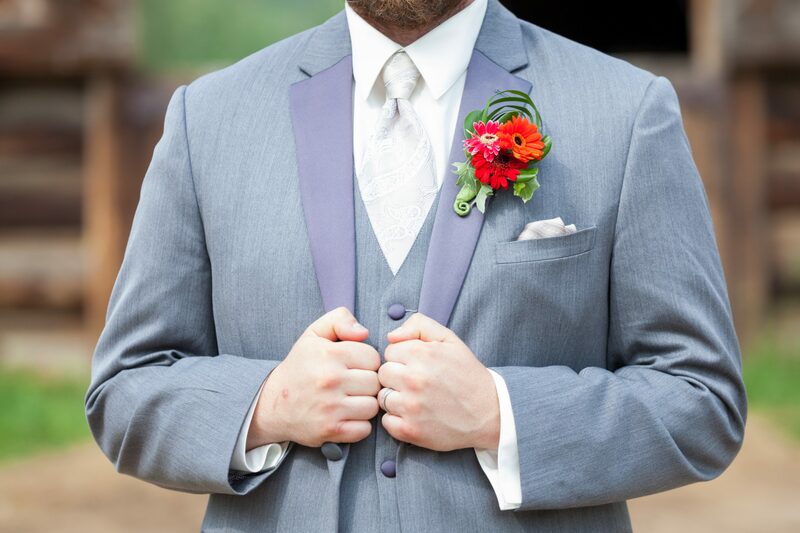 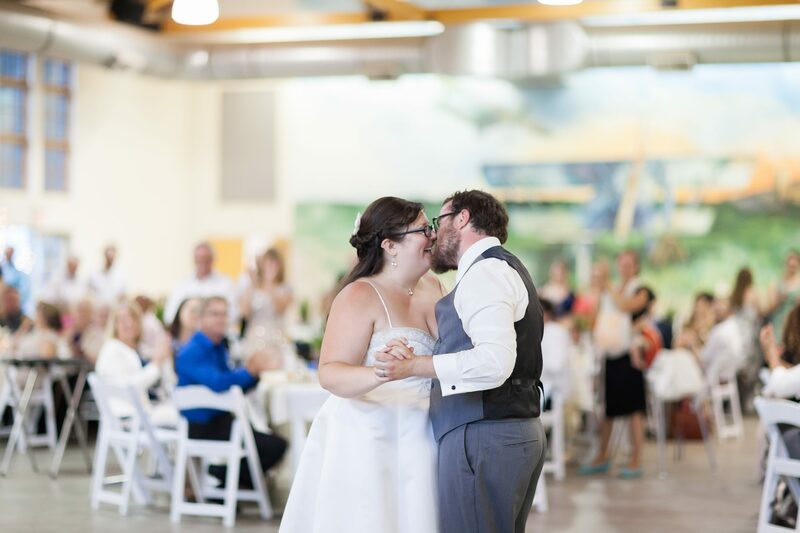 Foregoing the custom of the bride and groom not seeing each other before the wedding ceremony, the couple set time aside for a pre-ceremony Skype date with family who could not make the journey to Edmonton. 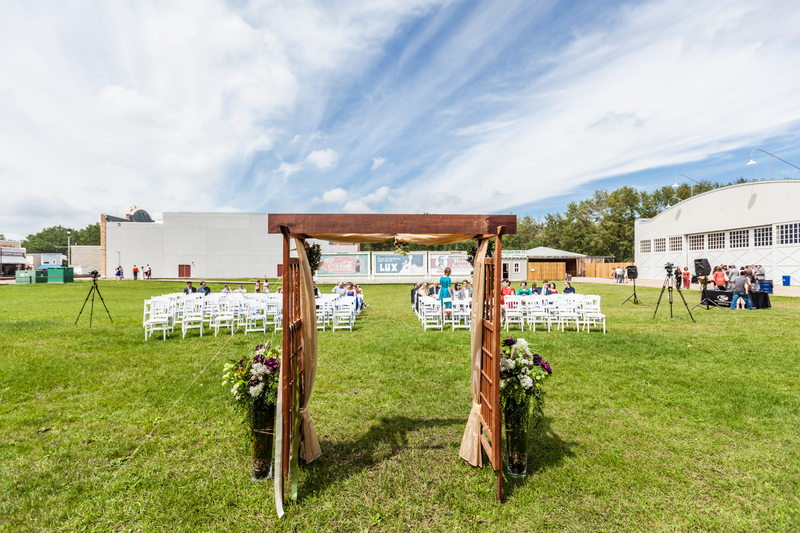 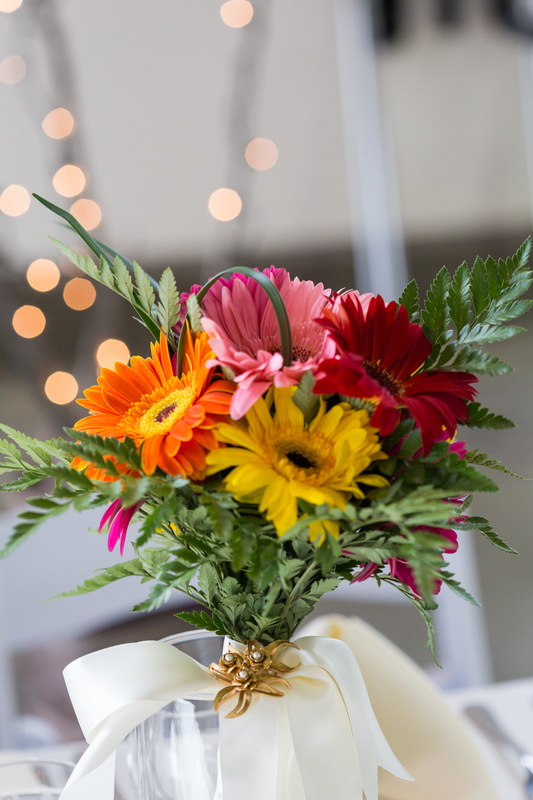 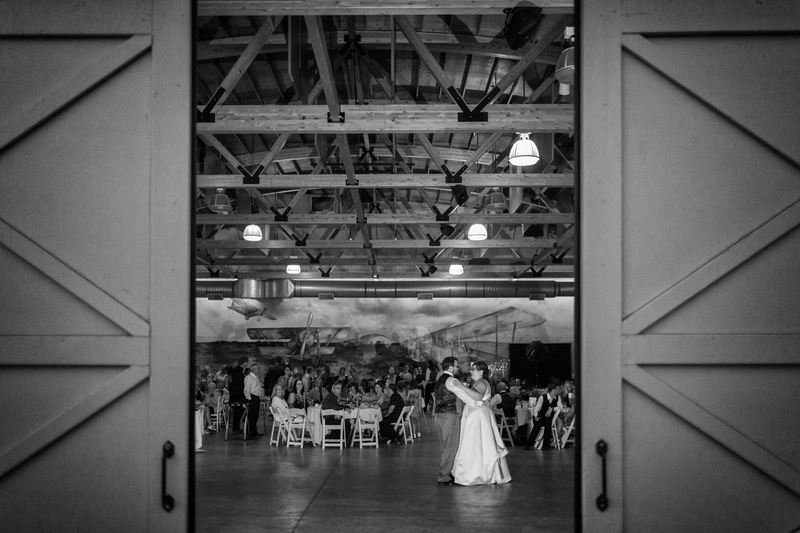 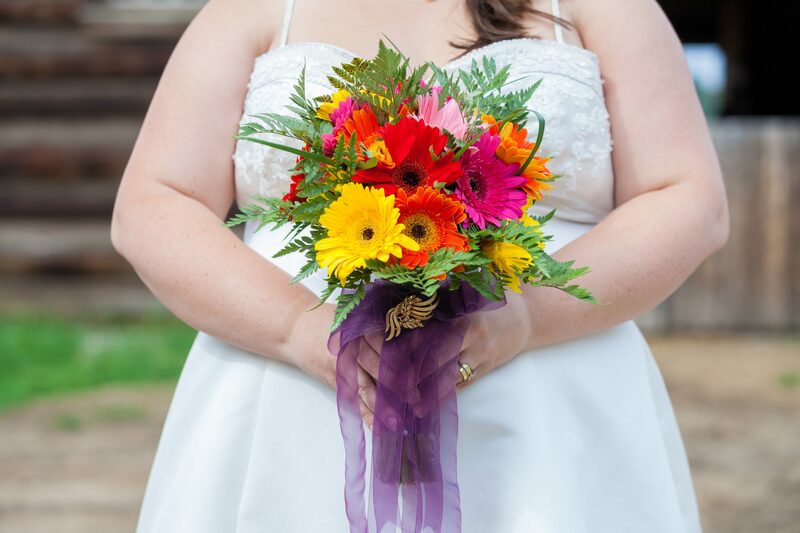 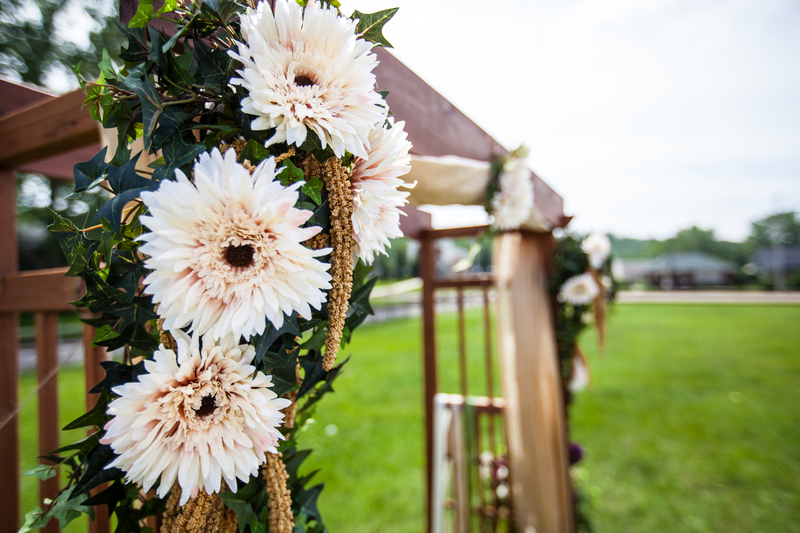 The wedding ceremony was held under a flower covered archway in the field beside the Blanchford Hangar. 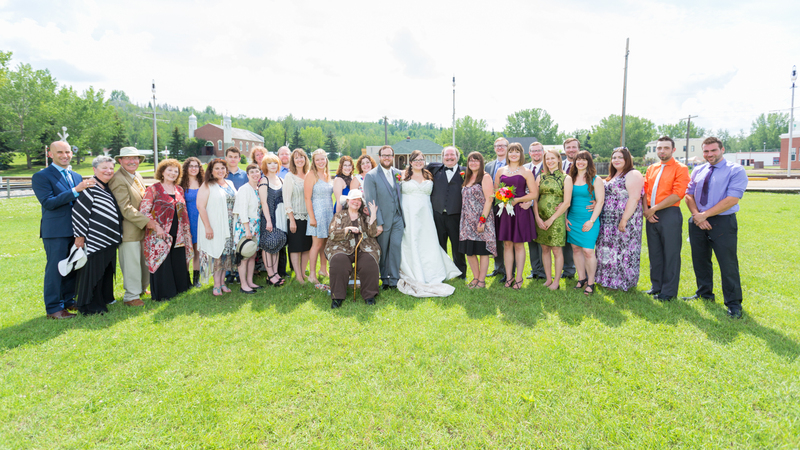 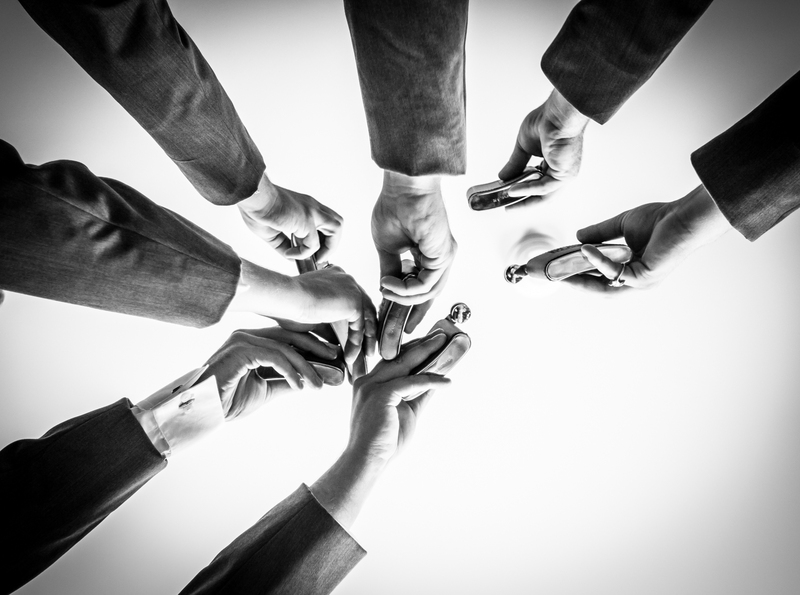 To celebrate their union as husband and wife Lisa and Mike invited their siblings to join them in a Handfasting ceremony. 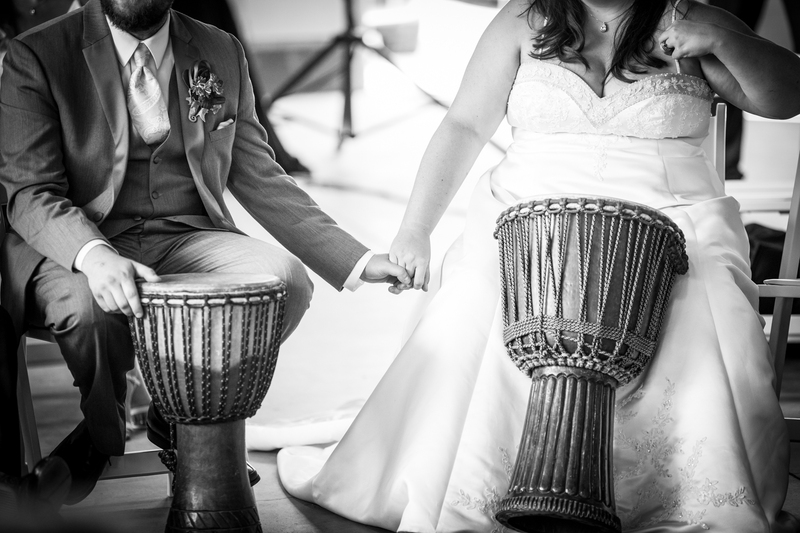 This ceremony comes from the old Pagan custom which dates back to the ancient Celts. 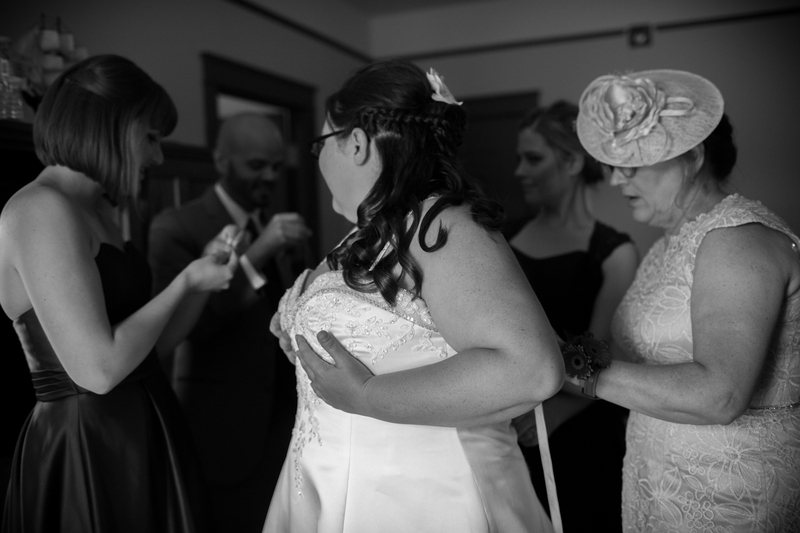 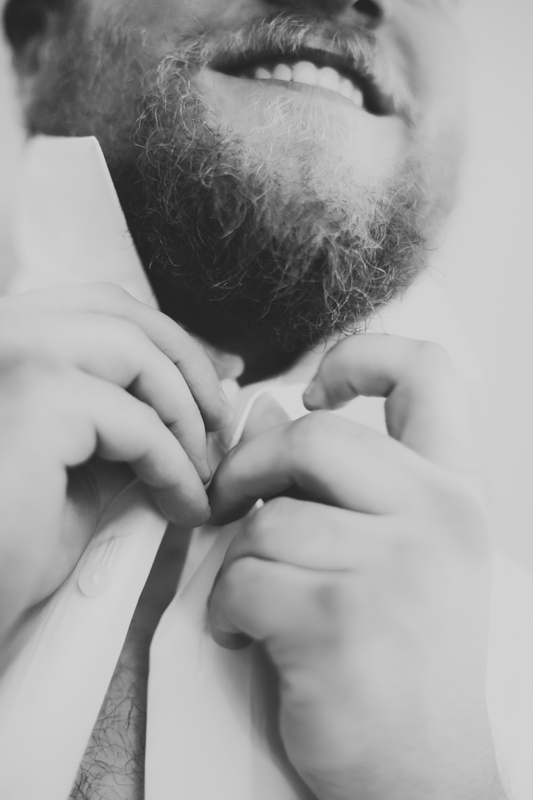 In the ceremony two people declare their intent to enter into a union by fastening ribbons around their clasped hands. 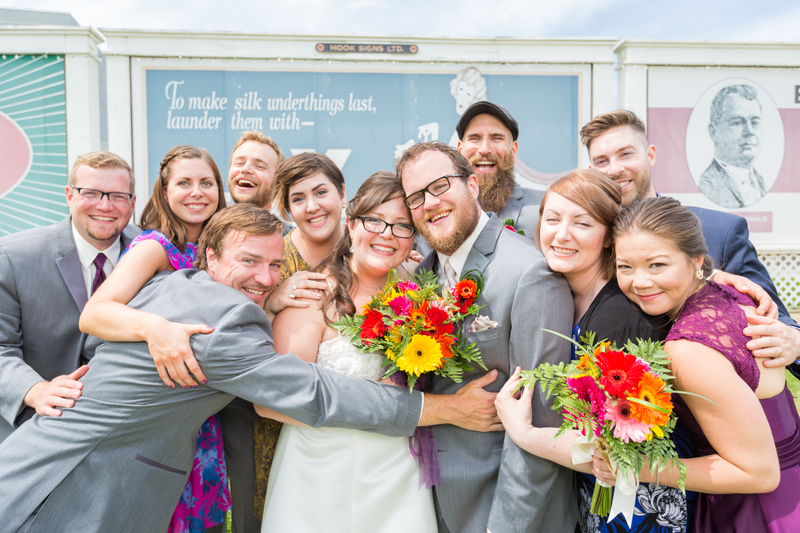 In this show of unity, the bride and groom bind themselves together. 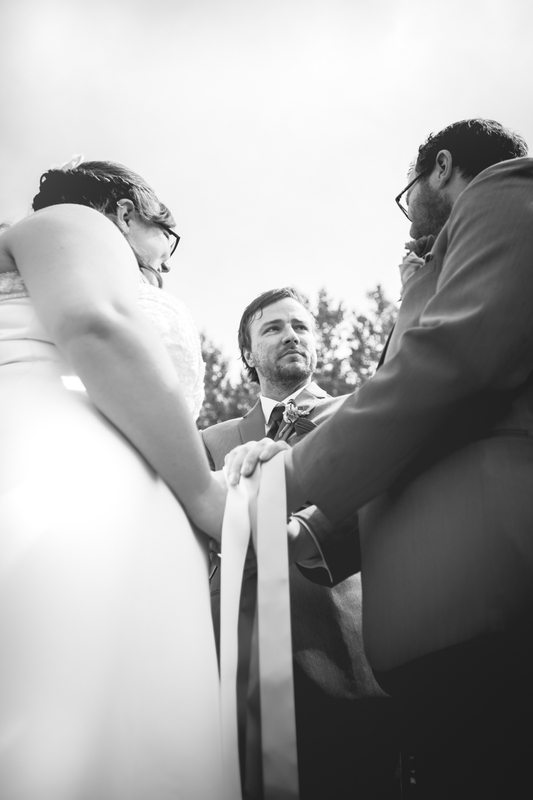 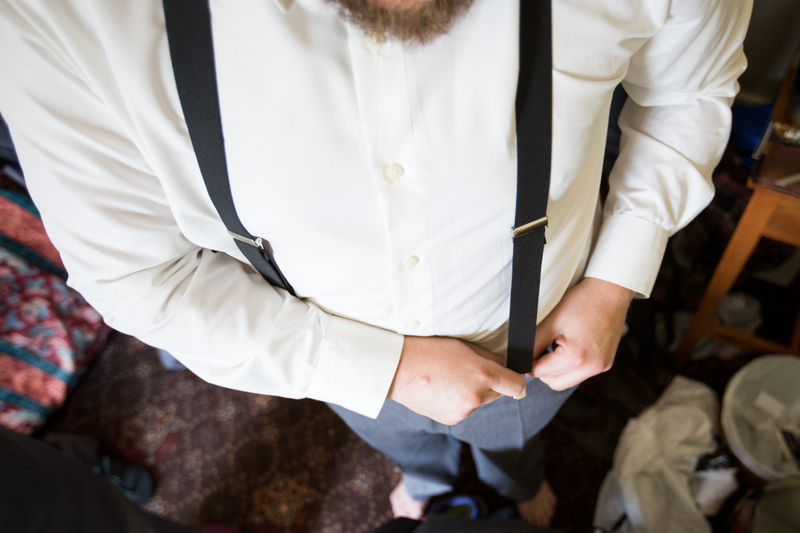 You can read more about handfasting here! 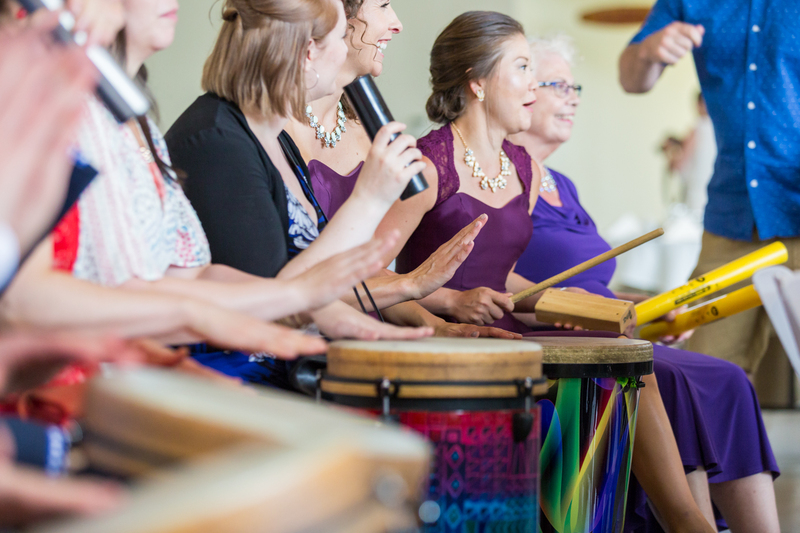 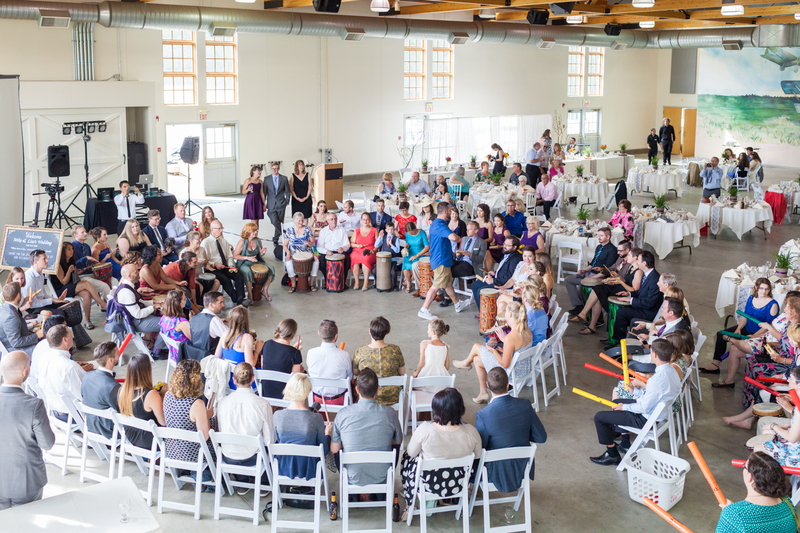 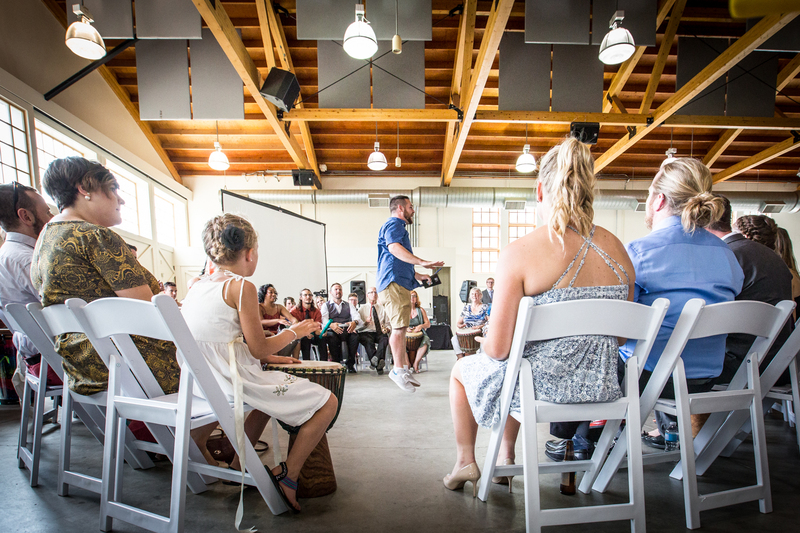 Guests were invited to participate in an epic drum circle to open the evening festivities. 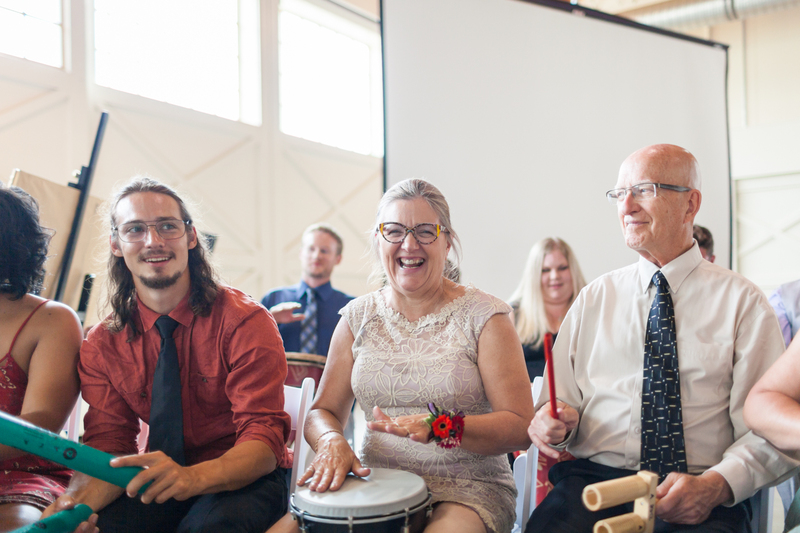 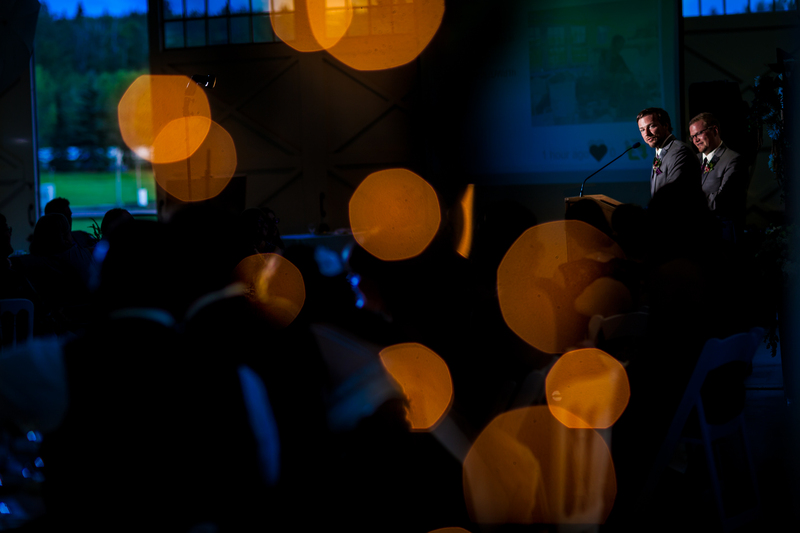 Nearly one-hundred guests performed in percussive unity, shaking the walls of the Blanchford Hangar and ringing out across Fort Edmonton Park. 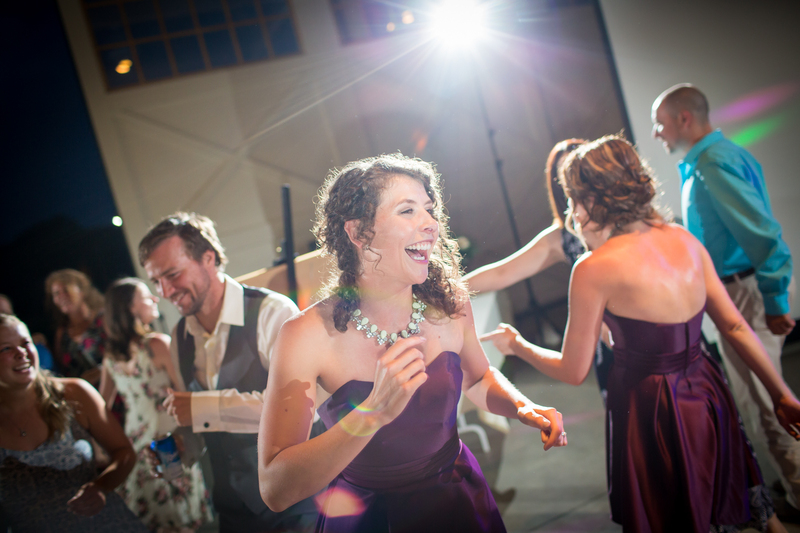 After a delicious meal and a touching slideshow prepared by the brother of the bride, Lisa and Mike were ready to get the party started. 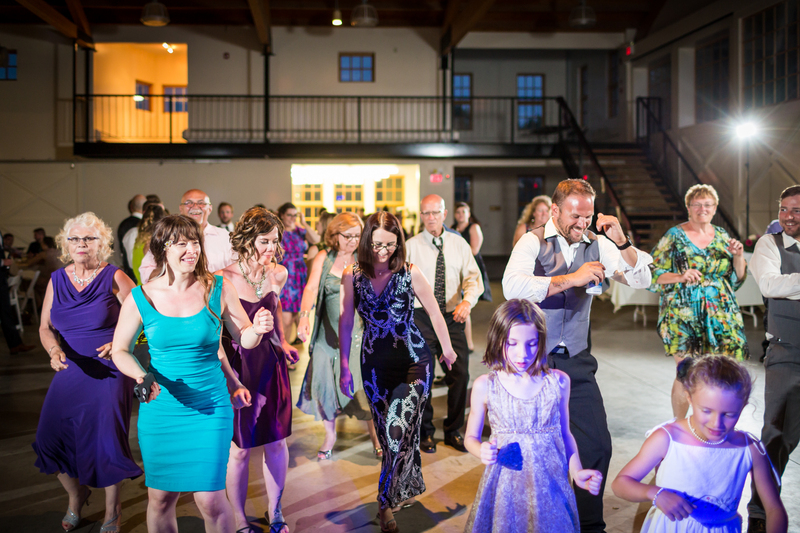 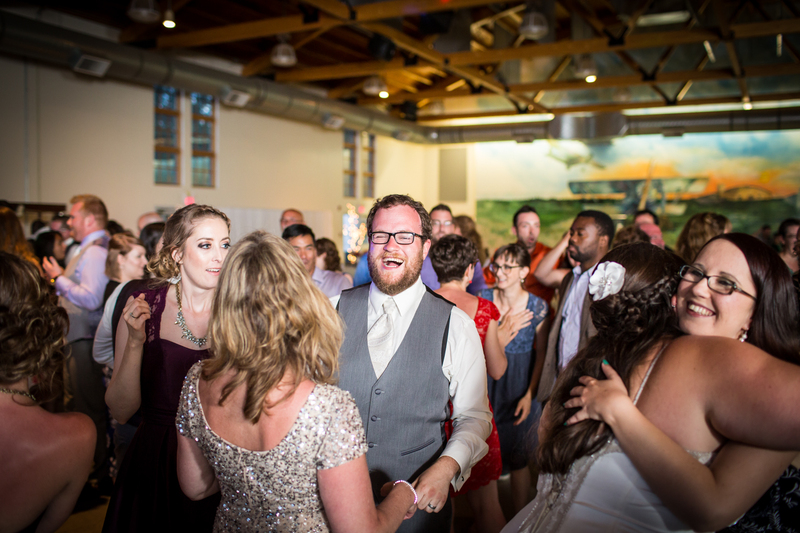 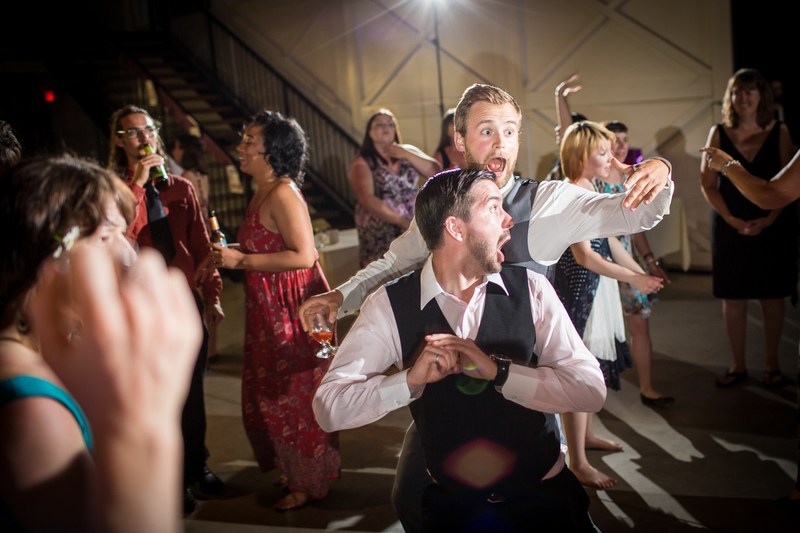 Guests were quick to their feet to start the dance with the celebrations lasting well into the night. 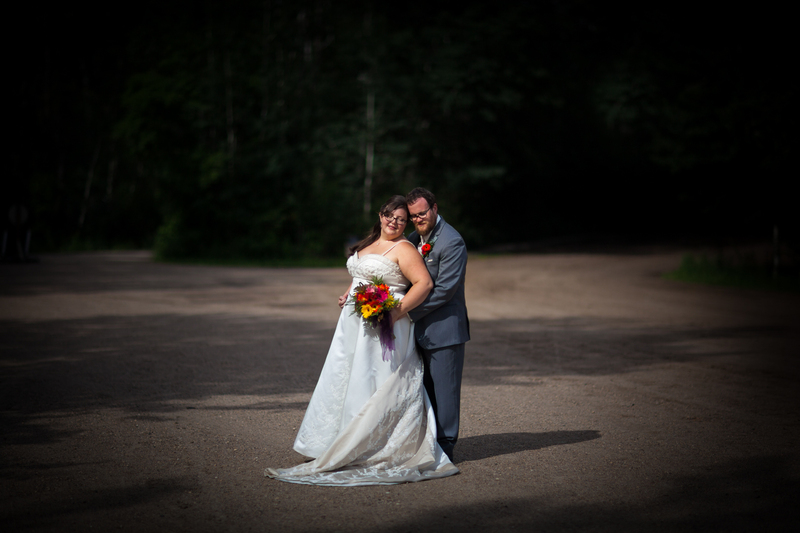 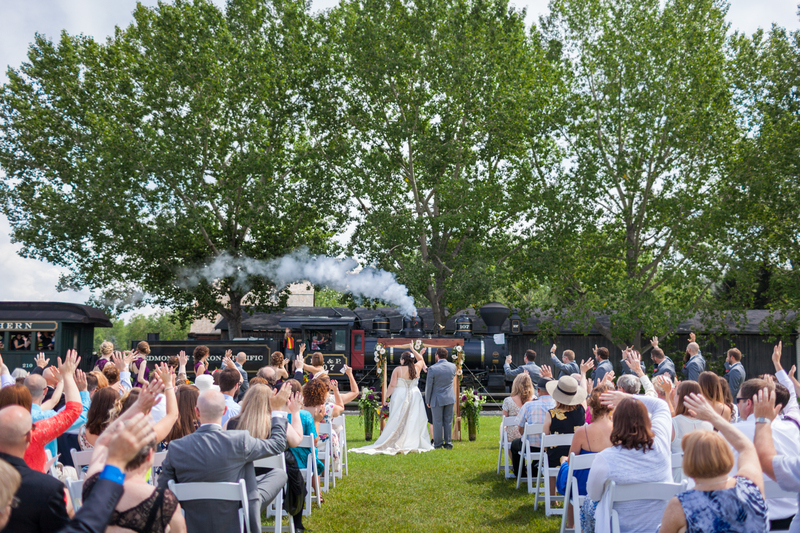 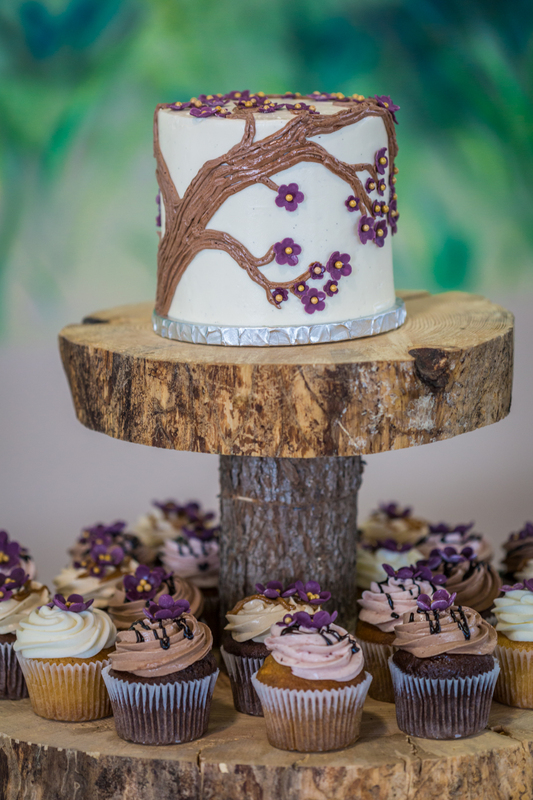 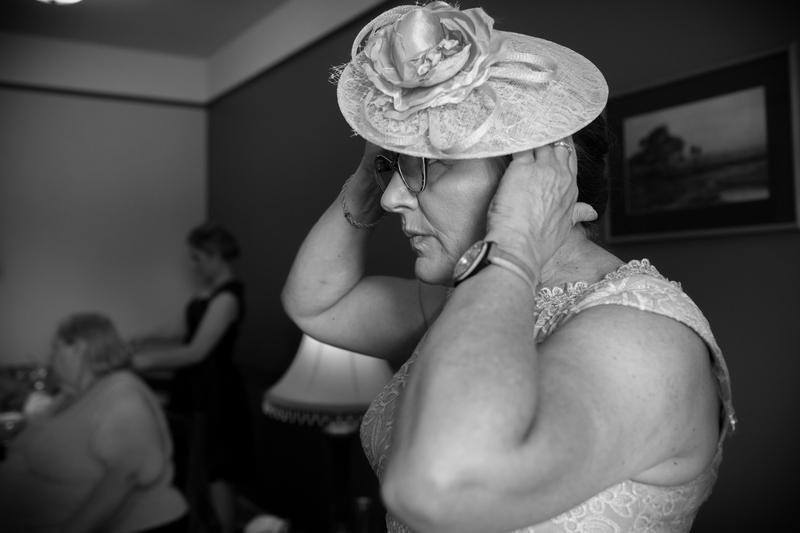 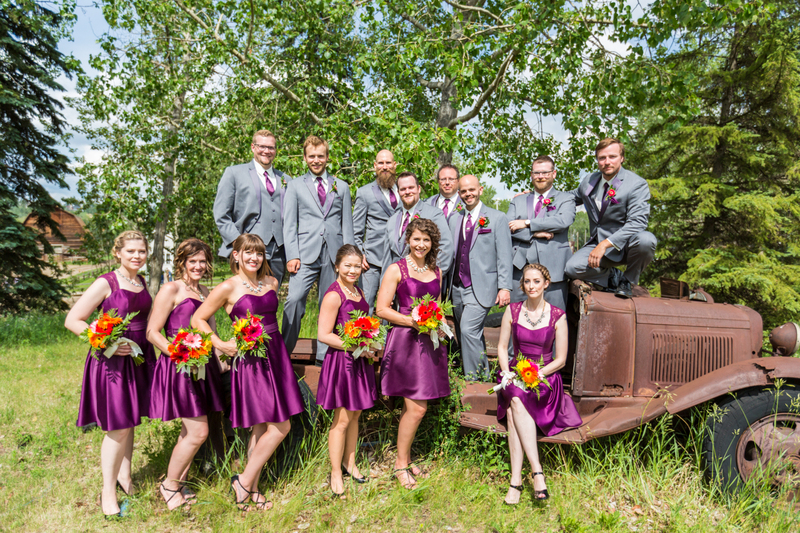 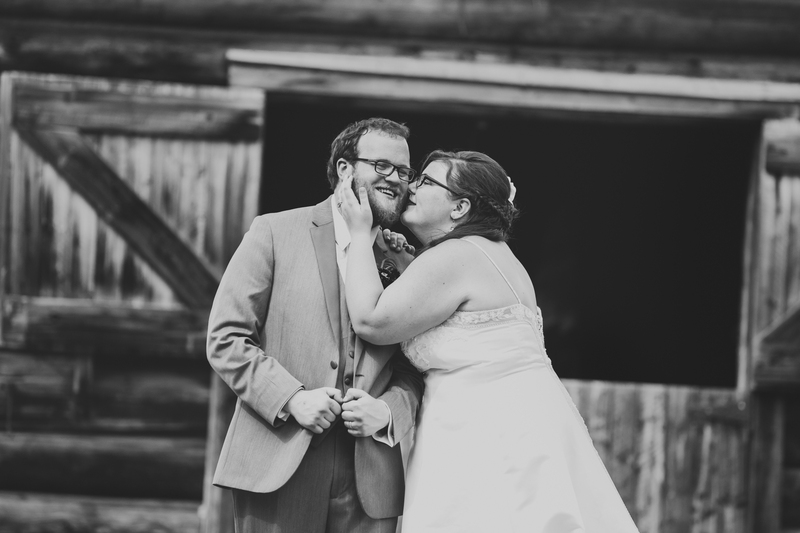 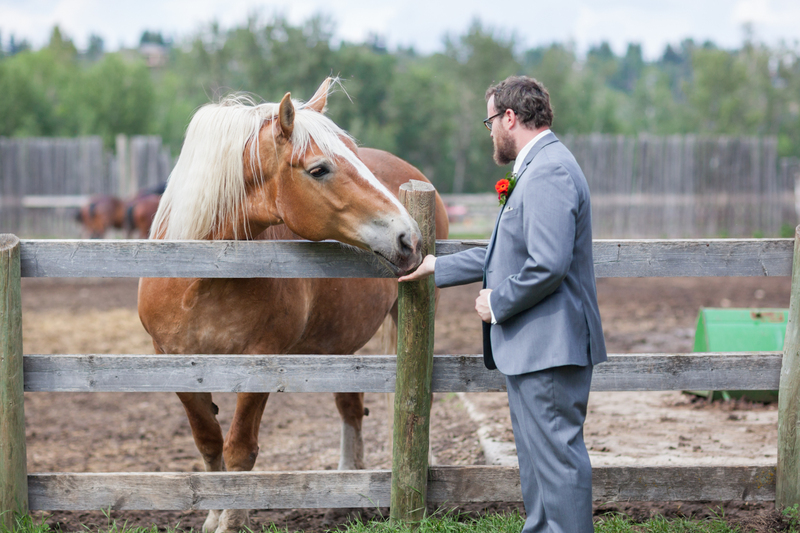 Thank you for inviting Deep Blue Photography to capture the moments from your stunning Fort Edmonton Park Wedding. 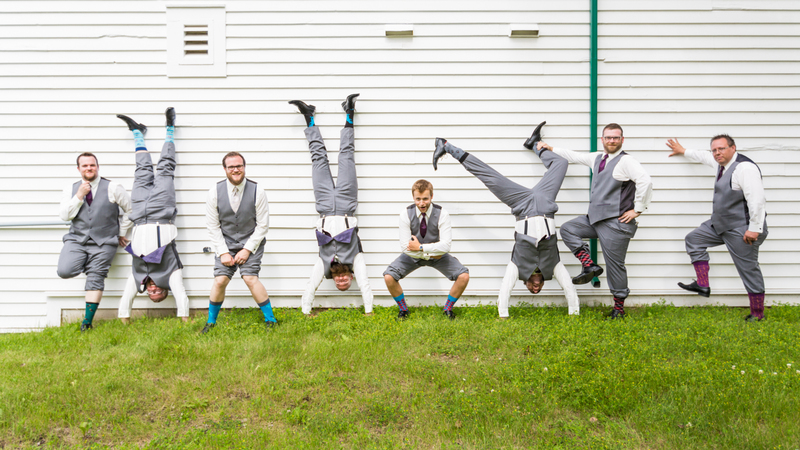 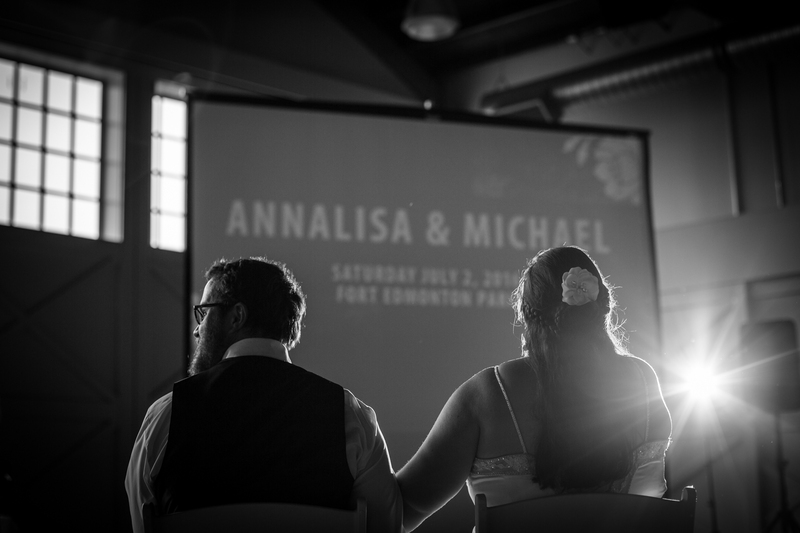 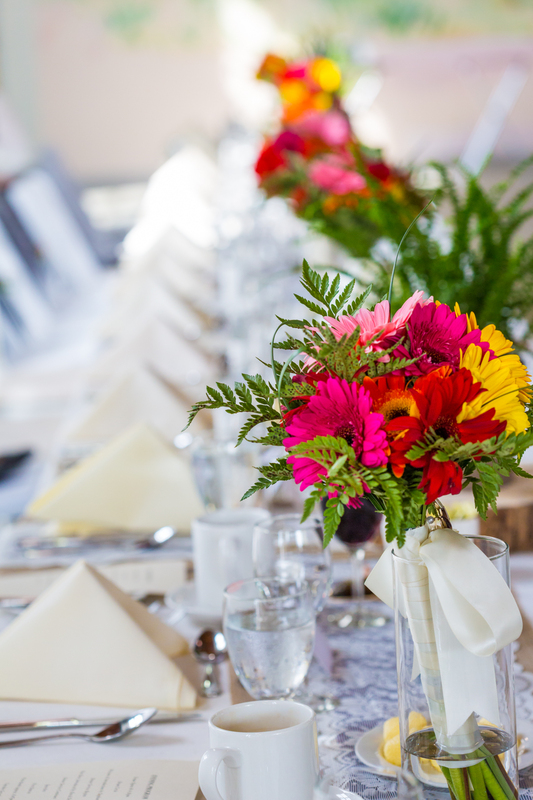 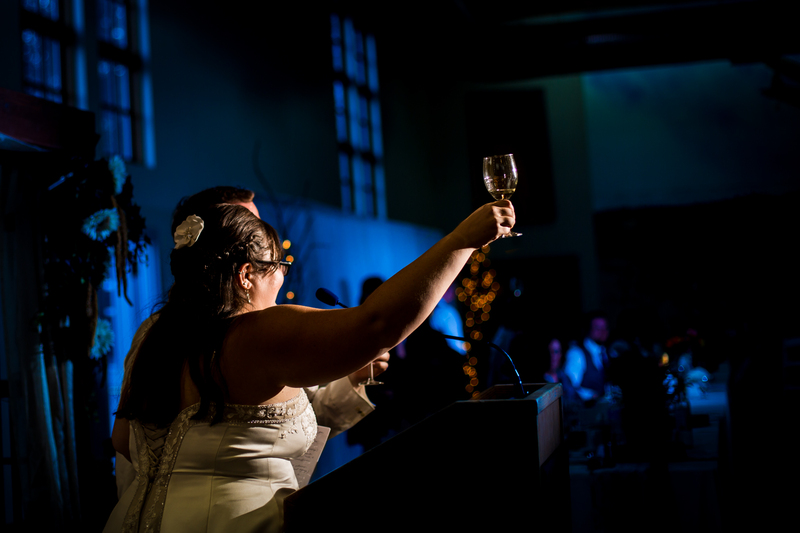 If you are looking for a unique Edmonton wedding venue, check out our list here!